Kibale National Park contains one of the loveliest and most varied tracts of tropical forest in Uganda. Forest cover, interspersed with patches of grassland and swamp, dominates the northern and central parts of the park on an elevated plateau. The park is home to a total of 70 mammal species, most famously 13 species of primate including the chimpanzee. - Day 1: Briefing on the safari and drive to Kibale National Park . - Day 2: Chimpanzee tracking, tracking over 12 primates in Kibale National Park. - Day 3: Drive to Bwindi Impenetrable National Park via Ishasha. Assemble at Kanyankyu River camp at 0800hours to go for the most popular activity in this park which is Chimpanzee tracking. Chimpanzees are man’s closet cousins though they are one of the most threatened primate’s species. More primates like Black and white Columbus monkeys, L’Hoest Monkeys, Grey cheecked Mangabey, Red tailed monkeys, bush babies, pottos and many bird species like the yellow spotted nicator, rumped tinker bird, Little greenbul, green breasted pitta, the crowned eagle, black bee-eater and mammals like Elephants can be seen in this walk. Kibale National park, which averages about 3,300 feet in elevation, is an extension of the great rainforests of central Africa. 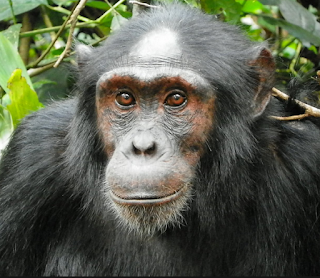 It is inhabited by three large “communities” of chimps, each numbering more than 100 individuals. Each community has a complicated social structure. The big adult males dominate the group and defend the community territory against incursions by male outsiders; the females usually wander in small family groups. Mid-morning after breakfast we drive further south through stunning savannah grasslands as we head towards the breathtaking adventures of Bwindi Impenetrable Forest National Park. Either (roads permitting) we will pass the southern sector of the park – Ishasha, a remote and beautiful extension of Queen Elizabeth National Park that is host to a large variety and volume of wildlife. Lowest Price: Travellers Rest Hotel, or Ruhija Gorilla Friends Camp or Buhoma Community Campground (self-contained cottages),Travellers hotel kisoro, Gorilla valley lodge,Ruhija gorilla friends. Early breakfast before embarking on our return to Kampala, driving down the grassed and terraced escarpments of southwestern Uganda while taking in the breathtaking sights of the hills of the region dubbed ‘the little Switzerland of Africa’. This area is a rows. Not to miss as we traverse Mbarara are the impressing long horn Ankole cattle. A remarkable highlight of this journey is the Equator line and surely you will cross it as we have a brief stop here. We will be in Kampala in the evening before for your flight back home. Airfares, visa, fees to the porter while trekking the gorillas, tipping to the locals, laundry, luxury drinks and other personal expenses not mentioned in the itinerary above.